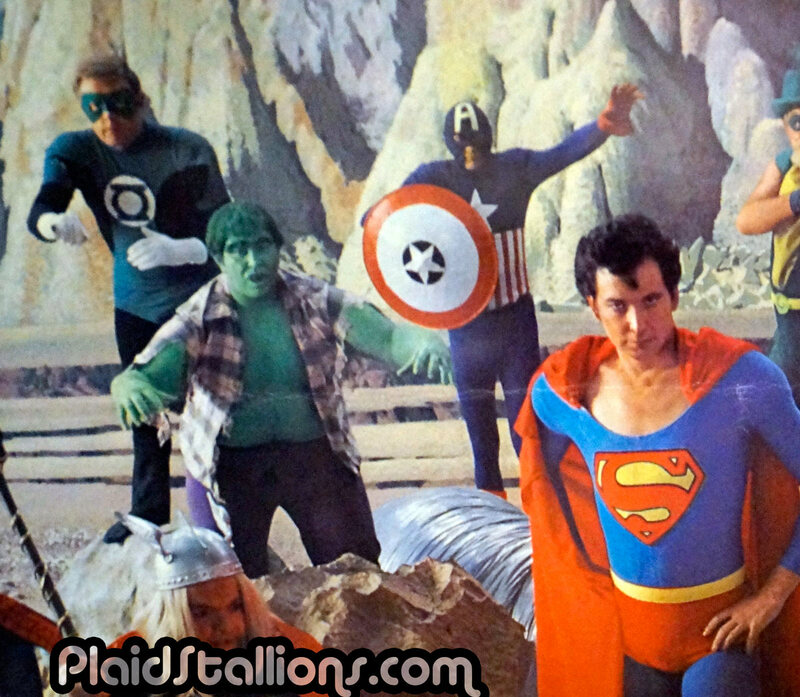 Plaid Stallions : Rambling and Reflections on '70s pop culture: Super Team! 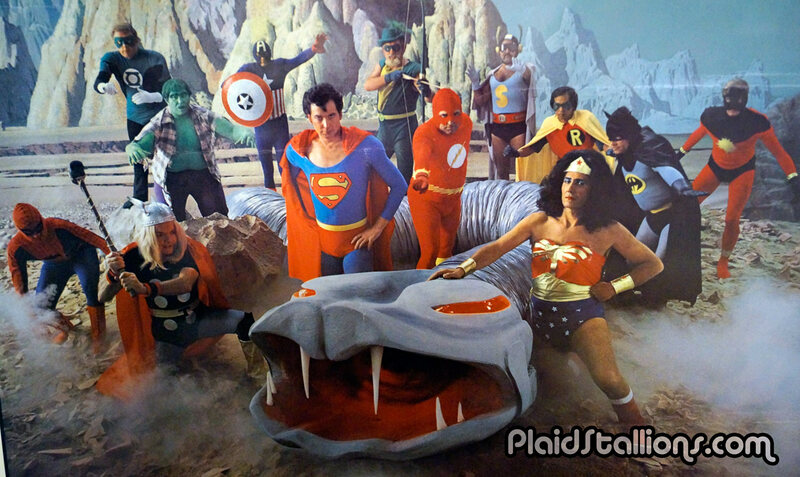 No, this isn't a still from the upcoming Justice League movie (it's too bright for one thing) this my friends is from a clever late 70s promotion for a company that seems to brilliantly pioneer what we call "Cosplay" today. Take a better look after the jump. You'll be glad you did. Major props to Robb for pointing this wonderful item in my direction. 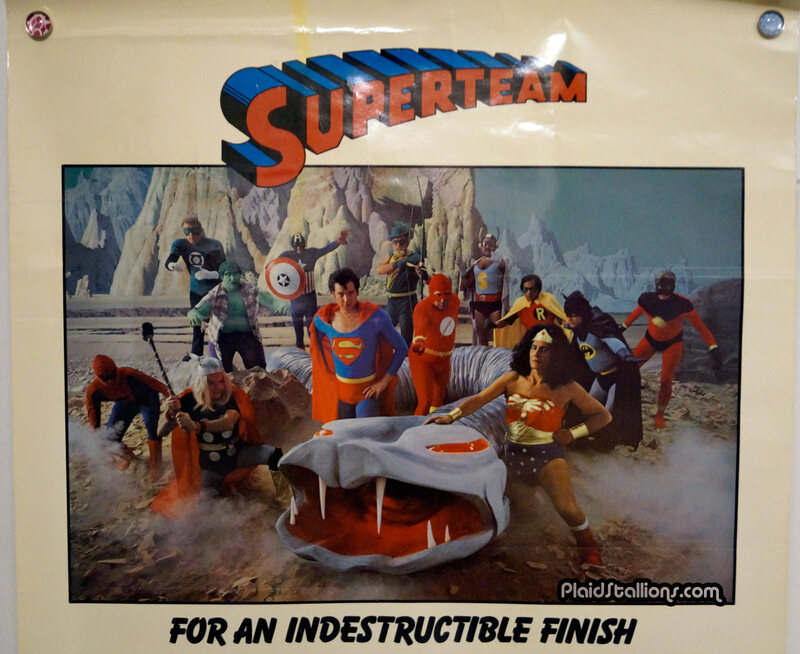 The Super Team image is from a 1979 promotional calendar for a company called "Electronic Plating Services Inc" in California, they hired a company known as "Fenton productions" to create one of the most inspired pieces I've ever seen. 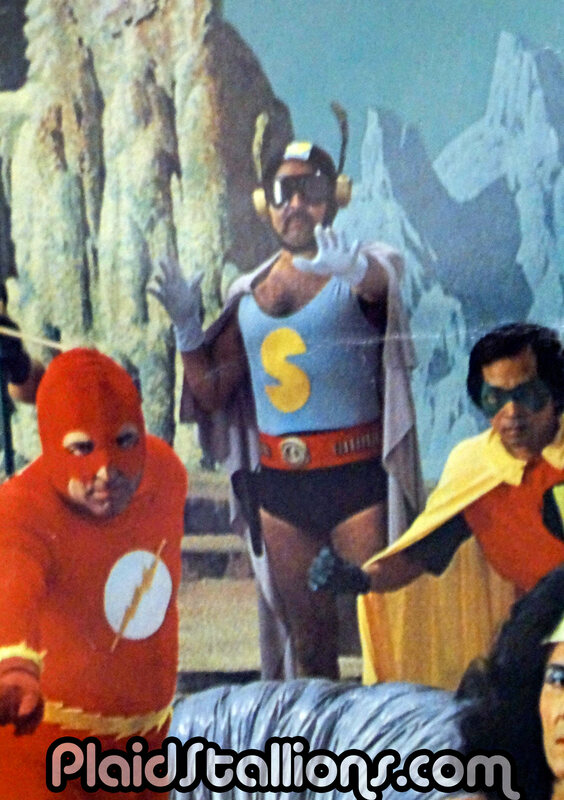 First of all, the heroes look like they're on the set of Infra-Man and those costumes! I'd like to think they're rentals from Mall Appearances but honestly, they could have just been made for this project. Let's have a look at those shall we? First off, that's #@*&ing Snyderman from the Heroes World Catalogs and ads of our youth! 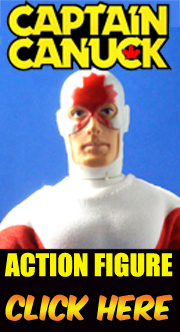 Does anyone ever recall a Snyderman appearance at a Heroes World? Or is this perfect in every detail outfit just created for this promotion? Gahhhhh, I will not sleep until i know! 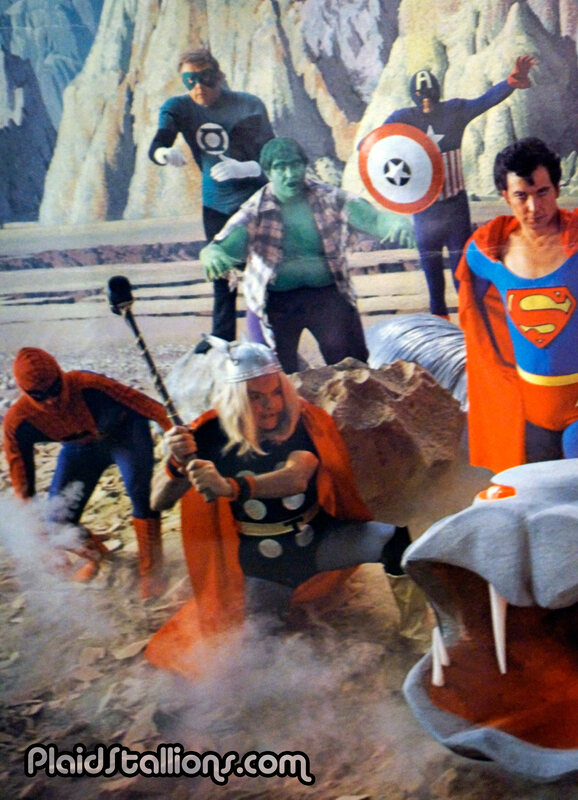 The mix of DC and Marvel reminds me of Mego here, That Spider-Man suit looks similar to the one Marvel used in the very early 1970s for promotions and methinks that Thor doth be a maiden in disguise? Which brings me to my next point. Unlike most calendars my dad got back in the day, this one resisted the cheesecake entirely. Wonder Woman here was a good sport no doubt and I'm going to hazard a guess that this is in fact, the boss of EPS inc. Speaking of good sports, there are a lot of "Dad Bods" here having a laugh at themselves. 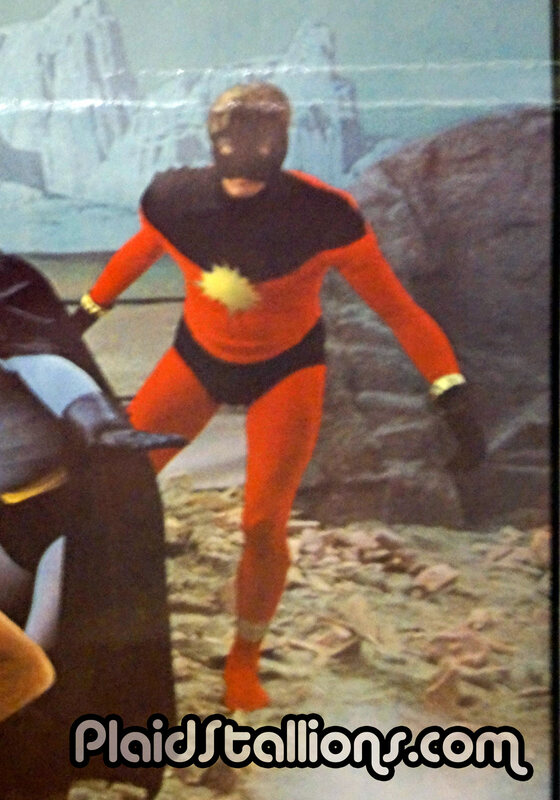 Another obscurity, Captain Marvel, I know he was around in the late 1970s and even got some merchandise but I honestly remember not knowing who he was when i was 9 and that's saying a lot. Considering there is no Aquaman or Shazam (both TV regulars), the appearance of Mar-Vell is somewhat surprising to be honest. One final note, while the majority of these outfits are comic inspired, that is a Lou Ferrigno / possibly John Belushi inspired Incredible Hulk right there folks. I can't tell you how much i love this thing. 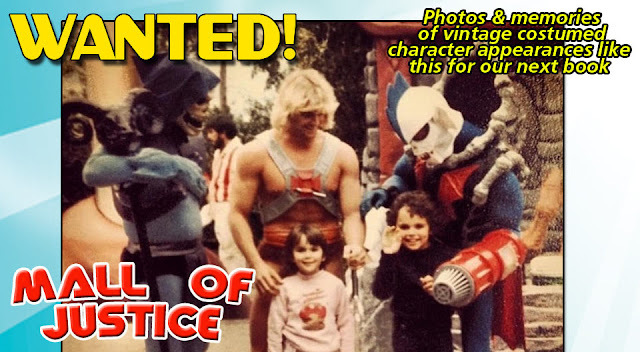 It seems fitting to remind everyone about my upcoming book project Mall of Justice. If you have images like the ones below and want to share them and your story, I want to hear from you! That was a lot of quirky goodness right there! No Aquaman is a crime. How did you over look 'Green Lantern' wearing his ring on the pinky finger! This post gave me such a good laugh. Lotta chest on that Superman!! 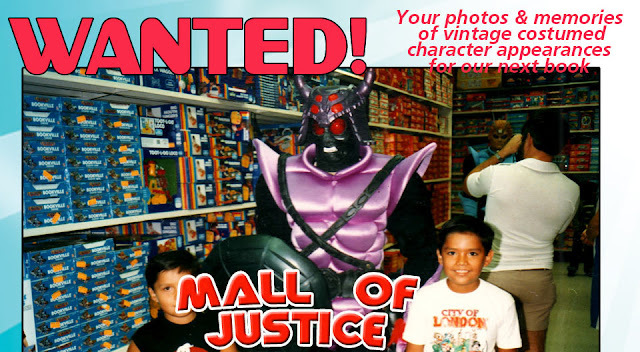 Mall of justice is the name of a comic book/toy store I shop at in Michigan. This is an absolutely stunning photo shoot for something as mundane as "Electronic Plating Services Inc"... I don't know if it helped them improve their business, but I am glad they did it. 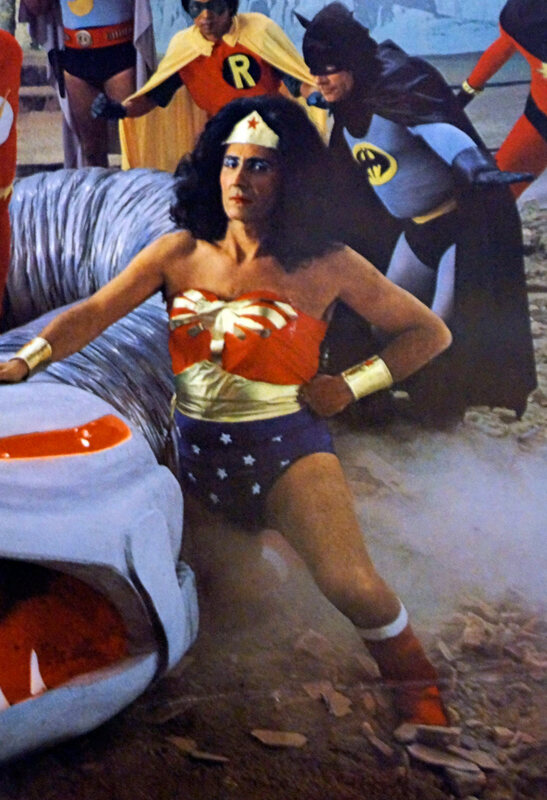 Wonder Woman steals the show. Perfect expression and stance. It's nice to see Snyderman among the other super heroes. 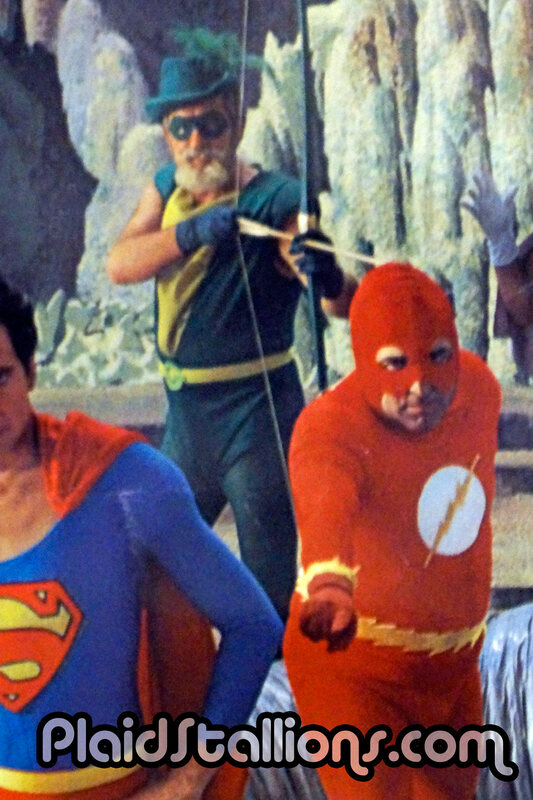 Flash has had a few burgers too many, and Wonder Woman is definitely a guy- Comic Action Heroes inspired perhaps? Many thanks for finding and posting this ad. also , every hero has a belly on them !It's got to be a Heroes World tie in using employees because they were too cheap to actually hire anyone. Even the art work in their mag was volunteer work form Joe Kubert's art School .